ANKARA, April 16. /TASS/. The S-400 Triumf missile systems supplied by Russia will bolster security of the biggest Turkish cities, Ankara and Istanbul, the NTV channel reported quoting Turkish Minister of National Defense Hulusi Akar as saying in Washington on Tuesday. “S-400 missile systems will, possibly, enhance security of Ankara and Istanbul,” he said recalling that the US supplied newest fifth-generation F-35 fighter jets would be stationed at an Air Force Base in the town of Malatya, 600 km away from the Turkish capital. Akar also recalled that Turkey had suggested creating a technical working group with Washington to resolve the issues relating to S-400 missile system supplies. “If there are any technical measures, let’s take them. Our proposal to the US is still on the table,” he said. At the same time, US Defense Department Spokesman Eric Pahon told TASS that the Department is not considering creating such a group with Turkey. The Minister also divulged the latest updates on the possible day the Russian missile systems will arrive in Turkey. 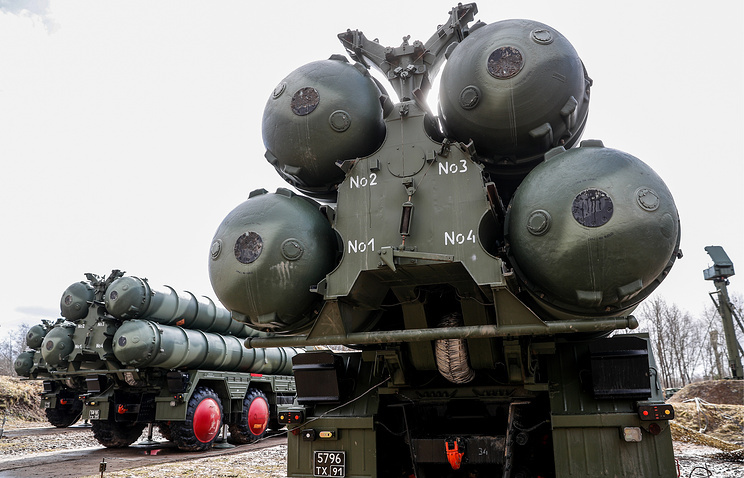 “In the course of our last contacts with Russia, they mentioned June.” Earlier, Turkish President Recep Tayyip Erdogan announced that S-400s could be delivered to Turkey before July this year. In March, the Turkish pro-government Yeni Safak newspaper wrote that the first S-400 station point in Turkey would be an Air Force Base near Ankara, citing military sources. Hey Buddy!, I found this information for you: "Russian S-400 missile systems to ensure Turkey’s security, says ministry". Here is the website link: https://russophile.org/russian-s-400-missile-systems-to-ensure-turkeys-security-says-ministry/. Thank you.